The trumpeter/Singer Louis Prima Combined these two hits in 1956. This arrangement is in the same Up-tempo Party Style. Los of fun for the whole bigband. 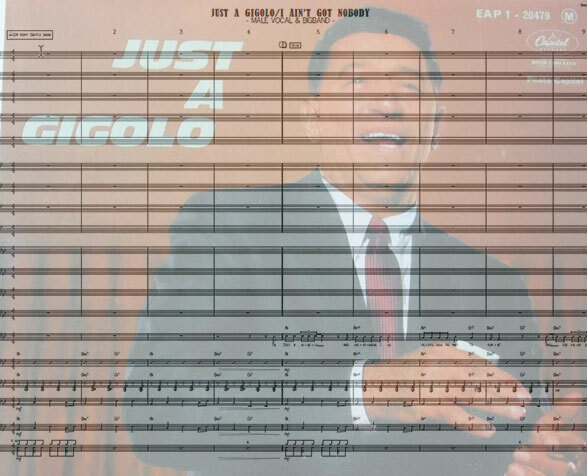 Just A Gigolo perfect party bigband score. 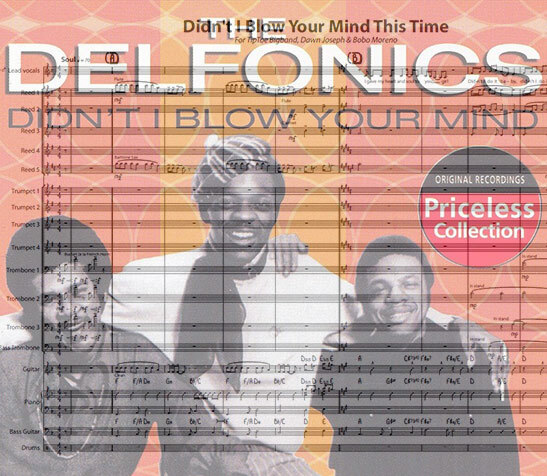 Among the Delfonics' signature songs, this slow love ballad is considered one of the most notable early Philly Soul singles and typical of that genre. The song was featured in the motion picture Jackie Brown as a song that actually drives the plot. It has been covered by many, among them New Kids On The Block. Originally arranged by Ole Visby for the Danish TipToe Big Band feat. British singer Dawn Joseph and Danish singer Bobo Moreno. Can be performed with one singer or as a duet. Some doubling in the reeds. Nice solospot for guitar. Signature song of "The Reverend" Al Green, referred to as "The Last of the Great Soul Singers". 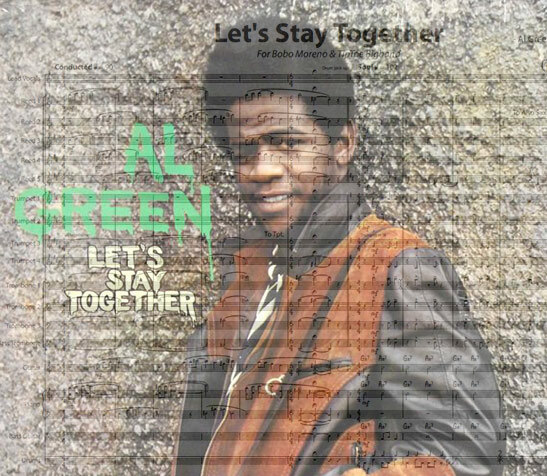 Released as a single in 1971, "Let's Stay Together" reached number one on the Billboard Hot 100, and remained on the chart for 16 weeks and also topped Billboard's R&B chart for nine weeks. It was ranked the 60th greatest song of all time by Rolling Stone magazine on their list of the 500 Greatest Songs of All Time. And it was selected by the Library of Congress as a 2010 addition to the National Recording Registry, which selects recordings annually that are "culturally, historically, or aesthetically significant". Used in many motion pictures, not least in the Quentin Tarantino film Pulp Fiction (1994). Originally arranged by Ole Visby for the Danish TipToe Big Band feat. Danish singer Bobo Moreno. Some doubling in the reeds. By Scottish Stealers Wheel. Released as a single 1973, it sold over one million copies, eventually peaking at number 6 on the US Billboard Hot 100 chart, number 8 in the UK, and number 2 in Canada. In 1992, Quentin Tarantinos film Reservoir Dogs made the song a rock standard. Simple yet catchy and memorable, it's the kind of song that sounds good whether it's performed by a solo artist or a full band. Originally arranged by Ole Visby for the Danish TipToe Big Band feat. Danish singer Bobo Moreno. Open solo part for any soloist. 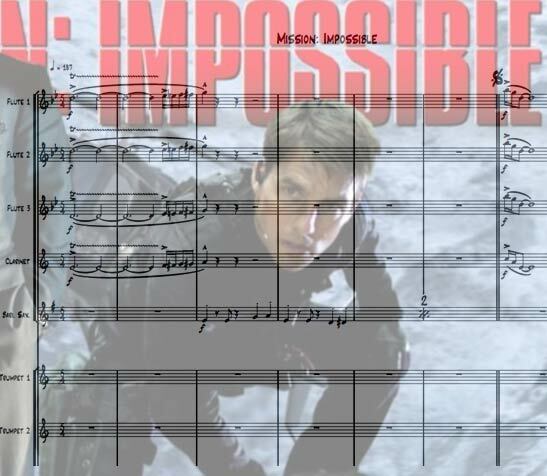 Mission Impossible of the TV series and the 1st movie versions are arranged for a big band lineup. 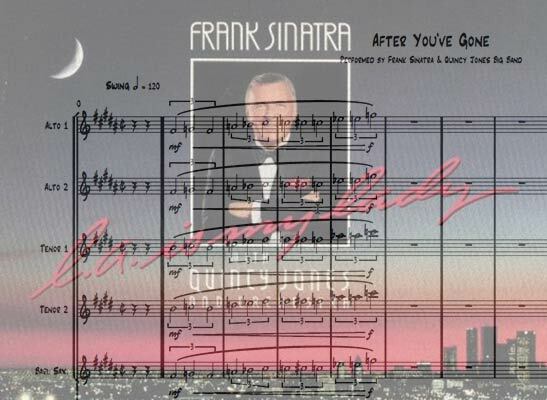 After You've gone Arranged by Frank Foster, transcribed by Tetsuya Masuishi. A recording live in studio by Frank Sinatra and The Quincy Jones Big Band, featuring George Benson. Fitted for a standard big band lineup. Swing-bigbandversion of another James Bond-classic - with female solo-vocalist. Originally arranged for the danish singer Szhirley & The Danish Radio Bigband. 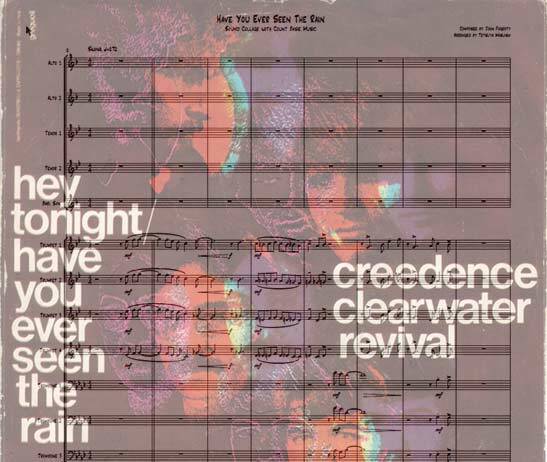 Have You Ever Seen The Rain by Creedence Clearwater Revival arranged in swing style for bigband. 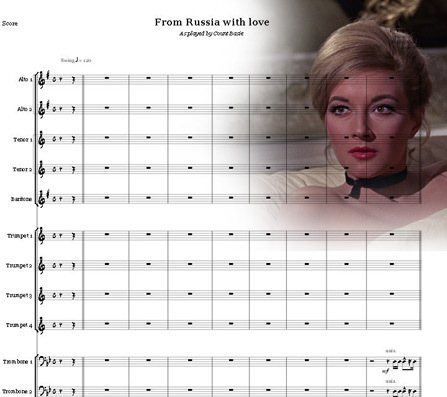 The arrangement is a sound collage with many phrases from Count Basie Orchestra. So, the song should sound familiar to Count Basie fans. Instrumental. The rhythm section is Guitar, Piano, Bass and Drums. Trumpet1 range is up to written D6. 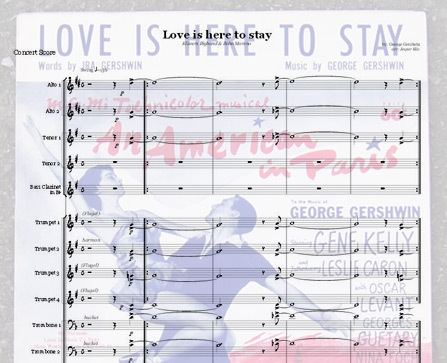 Love Is Here To Stay - an all time jazz standard by Gerswhin. Here in a bigband arrangement for standard bigband setup with vocal or tenor sax solo part. No doubles in sax section. 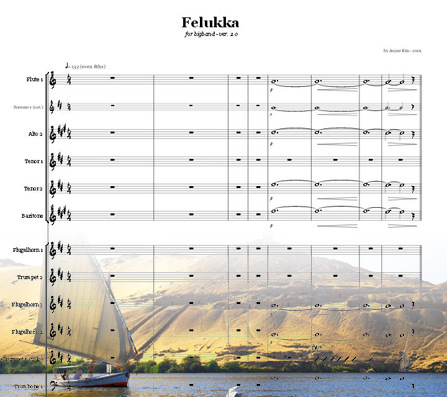 Available here in a version with doubles in the sax parts if you have flutes and clarinets available in your band. 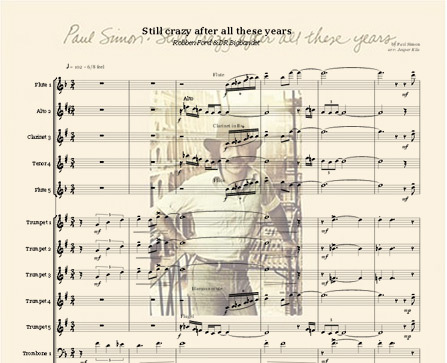 Love is Here To Stay Bigband with Flutes and Clarinets version. Soul Bossa Nova by Quincy Jones is the sound of the 60's bigband and easy-listening, swinging bossa nova that is famous all over the world. 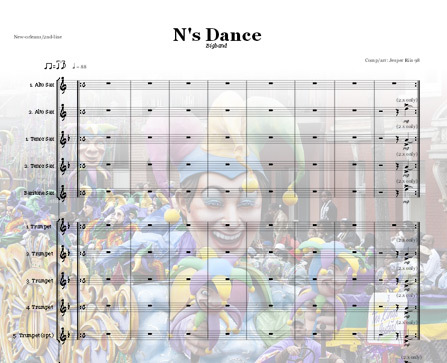 A lot of funky stuff for the flutes and a perfect chart for dancing. 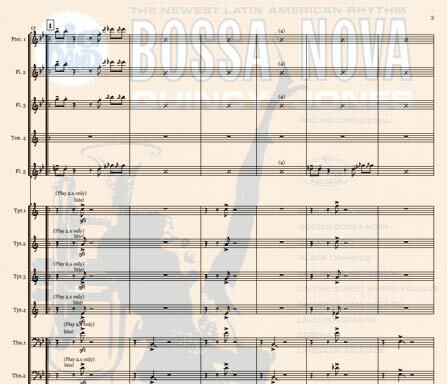 This arrangement is as it is performed on the record: "Big Band Bossa Nova"
Wham's christmas-megahit from 1984 in a swinging "how I imagine Basie would have played it"-setting. Last Chritmas - Also available in Bb for a Male vocalist! 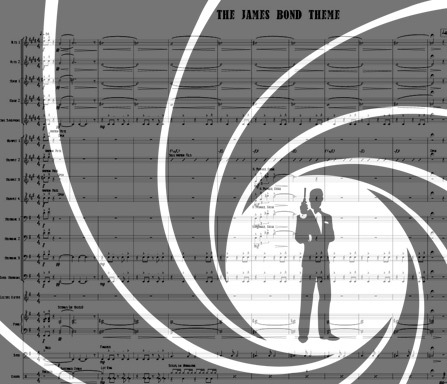 The Classic James Bond Theme arranged for Bigband including a Tenor Sax Solo and a slower "suspense intro"
From "Dr. No" (feat. Seam Connery) in 1962 to "Spectre" (feat. Daniel Craig) the James Bond 007 theme is an all time classic. 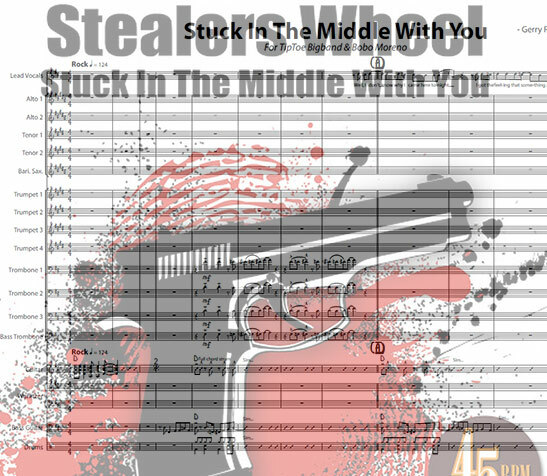 Here you will find a easy to be played Bigband Arrangement and a nice score for bigband setup. 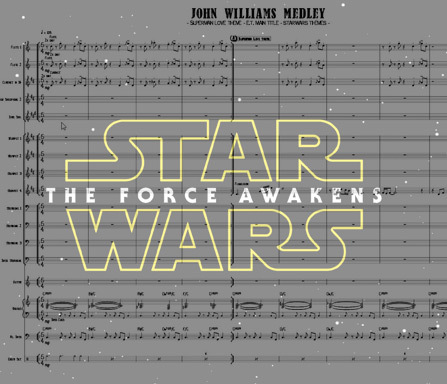 Some of the greatest movie hits from John Williams arranged for bigband. Including "Superman Love Theme" and "E.T. Flying Theme" in 5/4, "STARWARS Cantina Band" in a traditional arrangement and the "STARWARS Main Theme" transformed to bigband-swing. 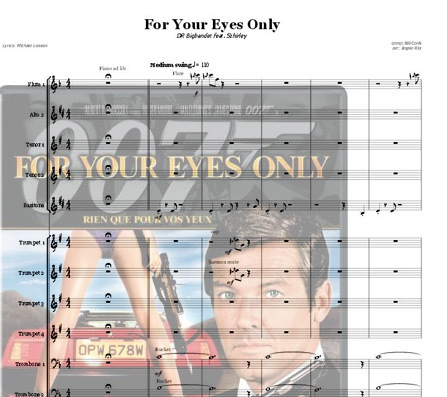 Incredible John Williams Bigband chart available for instant download. A Flugelhorn/Trumpet feature I wrote in memory of an old friend/trumpetplayer. Medium grade tune for Bigbands. How Sweet It Is (To Be Loved By You) originally by Marvin Gaye but here in a little more Bluesy / Jazzy Bigband Chart with a great vocal part. Bluesy shuffle swing in style of the Bublé recording from the record "It's Time". A easy going bigband arrangement, great for ballroom dancing. A Groovy Latin Song - as performed by Veronica Mortensen. 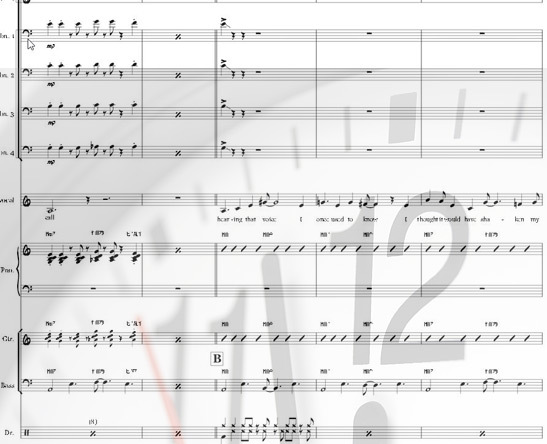 This Bigband arrangement was commissioned by Tiptoe Bigband. A lyrical piece in different minor keys and different time signatures. Including a trumpet- and a guitarsolo. 5/4/4/guit/Rhodes/bass/drums Alto Saxes doubles on Flute Tenor Saxes doubles on Clarinet Baritone Sax doubles on Bs. Clr. A funky original in 7/4 by Veronica Mortensen recorded live at the Aarhus Intl. Jazz Festival with Klüvers Bigband feat. Veronica, Dave Samuels and Dennis Mackrel. Sax-section doubles on flutes, clarinets and bass clarinet. Composer -	Veronica Mortensen/Niels H.P. Fun piece in 5/4 by the swedish jazz-pianist and composer, Lars Jansson - originally titled "Give me five". 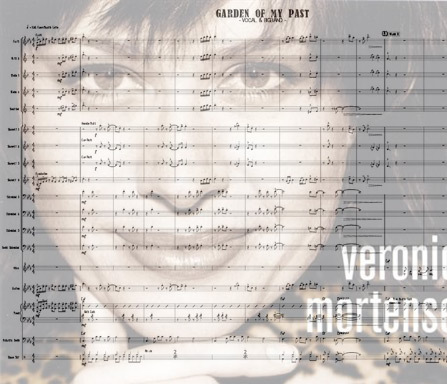 Veronica added lyrics to the tune and the arrangement was made for a live-recording during the Aarhus International Jazz Festival with Klüvers Bigband featuring Veronica, Dave Samuels and Dennis Mackrell. Composer -	Lars Jansson/Veronica Mortensen/Niels H.P. 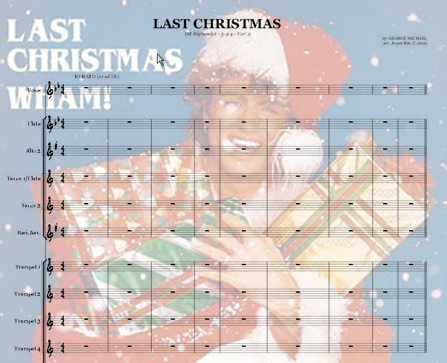 Last Christmas - Also available in Eb for a female vocalist! A tribute to the Mardi Gras Festival. 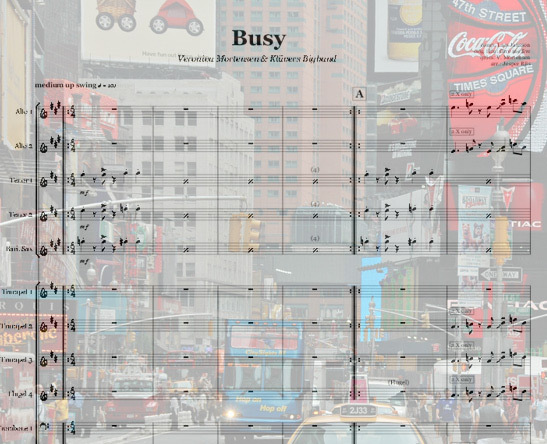 Great, bluesy, fun-to-play bigband-chart. 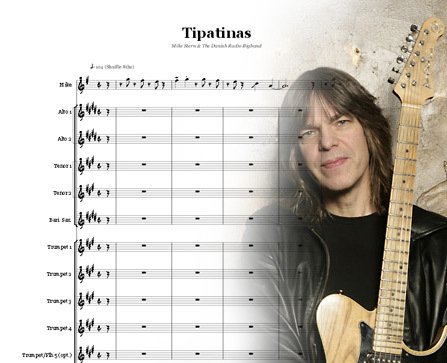 2nd-line grooves and solos with swinging backgrounds. 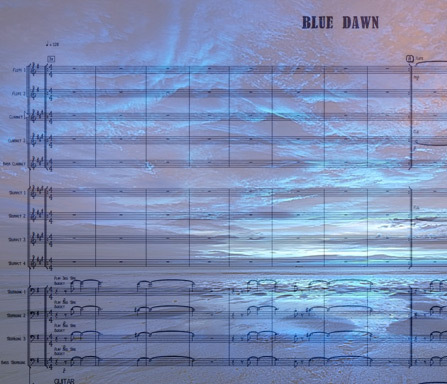 One of Michael Breckers compositions from the album "Tales from the Hudson". 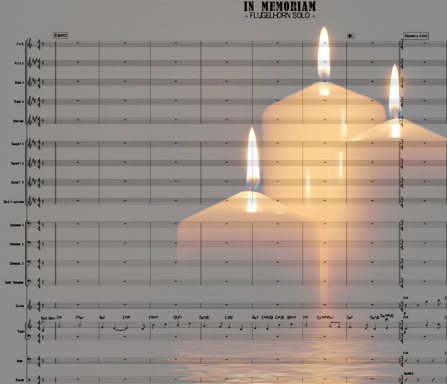 This arrangement was commisioned in 2009 by The Danish Radio Bigband for a project featuring the great Jeff "Tain" Watts. 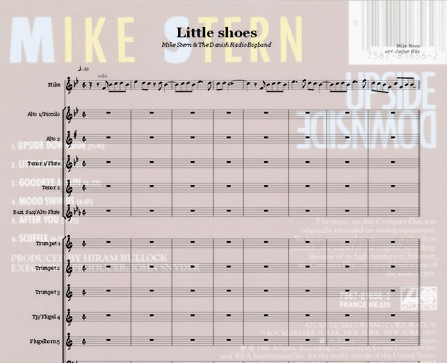 Little shoes was originally recorded on Mike Sterns album "Upside-downside" from the 80's. This arrangement was made for a DRBB project with Mike in 2007. Available on the album "Chromazone". 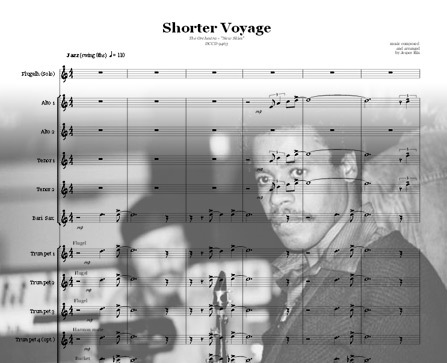 A tribute to one of my favourite inspirators of all times - Wayne Shorter. 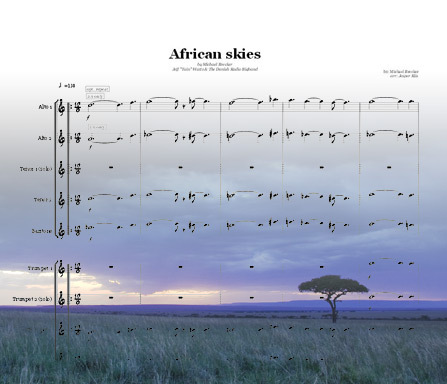 This composition was recorded by the danish bigband The Orchestra in 2001 and is available on the album "New Skies" - The Orchestra plays Lars Møller & Jesper Riis. Hip version of the evergreen with the lovely melody accompanied by a smooth, swinging counterline played by bass, guitar, baritone, bass-tbn and tenor. Can be played with male vocal soloist or as a tenor sax-feature. Vocal (male) or Tenorsax solo - 5/4/4+rythm section (Alto1, Alto2/Flute, Tenor1, Tenor2/Flute, Baritone/Bass Clar. Sax-version (without doubles) available on demand! Version from the album "Basie meets Bond". Stevie Wonder ballad in a great bigband-arrangement with female vocalist. Veronika Mortensen & Klüvers Bigband. Paul Simons great song arranged for Robben Ford and The Danish Radio Bigband.